Nakamura Rousoku was established in 1887 and has been passionately making Kyo-Rousoku (or Wa-Rousoku, Japanese candles) for the past 125 years. Since ancient times these candles have been used in Buddhist Ceremonies, it is only due to the spread of the inexpensive Western version that demand has decreased. They are made using the fruit of the Haze tree (Japanese wax tree), a raw material that has become scarce, adding to the challenging circumstances surrounding these candles. For this reason we actively engage in various activities so as to connect with the next generation, such as participation in Wax Tree cultivation projects, developing stylish scented Kyo-Rousoku, and holding hands-on workshops, so you can experience making your own candle. 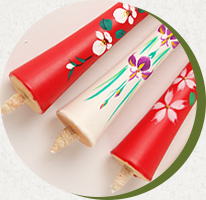 We continue to devote ourselves to conveying the beauty of Japanese Candles to as many people as possible. 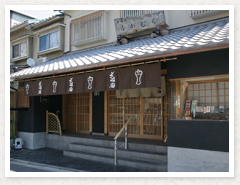 The biggest difference between Kyo-Rousoku (Wa-Rousoku) and Western ones is the raw materials used. Japanese candles use all plant materials while Western candles use petroleum. It is because of this Kyo-Rousoku (Wa-Rousoku) has little soot and can be seen as friendly to the environment. They are also handcrafted, meaning each candle holds the time-honored skill of many artisans. 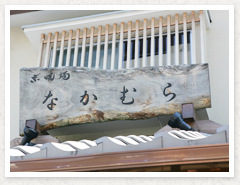 At Nakamura Rousoku you can observe the production process of Kyo-Rousoku (Wa-Rousoku) as well as try it for yourself. 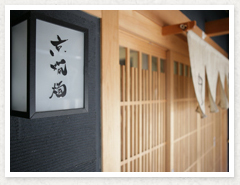 Come and experience the world of Kyo-Rousoku (Wa-Rousoku) through observation and creation. Sales of candleholders, wick cutters, and other candle paraphernalia.